Construction sites are well known for excessive buildup of litter and debris, which is why it is extremely indispensable to sweep and clean the sites consistently. Government agencies are responsible for making sure that stormwater runoff from the construction sites and roadways does not harm the environment. Helping construction sites keep dirt off the area through regular street sweeping and in compliance with the regulations gives everyone a cleaner and healthier environment. Construction street sweeping is not a cost, it is an investment. Limiting airborne dust and keeping waterways clean during construction may not seem important, however many consider it to be essential for cleanliness, keeping sediments, tracked soil and eroding off roads and completely out of water drainage systems. Believe it or not, the best way to alleviate water and air pollution is to simply sweep it off the streets, typically through construction street sweeping. And that is why, construction sweeping is considered to be an investment, and not a cost. Construction street sweeping is required by the municipality where the project is being constructed. It is necessary to comply with EPA storm-water runoff rules since construction street sweeping is a valuable tool in the fight against all types of pollution. These rules also help to prevent storm-water drains from becoming clogged with dirt. Water runoff that picks soil, sand, and silt from construction sites can harm coastal waters, lakes, rivers, and overtax sewer storm systems. And that is why the EPA has developed rules in order to require construction companies and home builders with developing and maintaining a SWPPP (Stormwater Pollution Prevention Plan) that addresses and recognizes all the erosion control. Construction street sweeping also helps to reduce the amount of pollutants that enter the storm-water system. Although the EPA completely establishes a recognized national standard definition, many construction companies may fall under the jurisdiction of a country, state, or even localized stormwater anti-pollution regulation. As mentioned above, SWPPP describes all activities of the construction site’s operator in order to control erosion and sedimentation, curb stormwater contamination, and completely comply with the needs of the Clean Water Act. In case of bigger construction companies, it is essential to have staff responsible for sediment and erosion control and proper stormwater management. Construction sweeping also improves the cleanliness of the site. Routine construction sweeping can not only result in improved aesthetics, but also lead to improved environmental conditions along with cost savings. 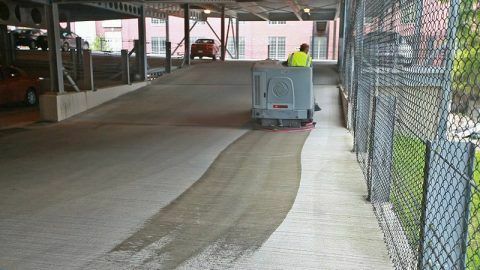 This in turn can also help with sales and marketing efforts as well as keeping the interiors of construction site buildings free of mud and dirt. Regular sweeping can deal with all types of materials, including concrete spills, asphalt pieces, construction and mud debris. If these debris are not dealt with, it usually clogs the gutters, and when it rains most of the debris are washed into the drains where they eventually could lead to blockages and possible flooding that affects homeowners and roadways. Keep your site clean and safe (and be environmentally responsible too!). Call us for quotes and advisory for street sweeping. 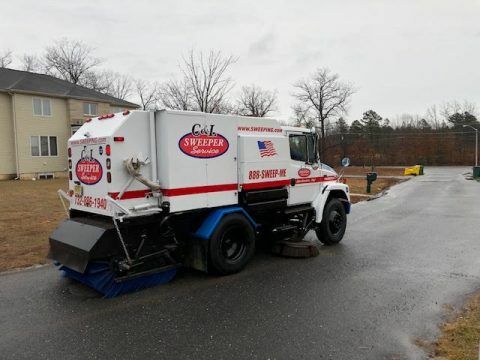 We’re the street sweeping experts and we’re responsive, reliable and keep your site looking good – 732-886-1940. Street sweeping serves as a much greater practice than simply removing huge debris for an aesthetically pleasant appearance. It is a proven measure in reducing pollutants within commercial and residential areas. For Homeowners Associations: Once a quarter. After the winter season when the snow melts away, sweeping helps to remove debris piled up from snow plows. Such debris can block storm water basins causing local flooding during heavy rains. During the spring season, sweeping helps to remove sand and salt especially at the bottom of the hills. In summer, sweeping helps to remove dust, improving the clean appearance of the area. Sweeping the dirt from paved streets helps ensure an environmentally healthy and safe community. Finally, for the fall season, sweeping removes leaves and other vegetation that collects in the streets and storm drains. For Municipalities: Street sweeping should be done monthly. It is a responsible practice for municipalities to mitigate accumulation of dirt, litter, and vegetation from paths and streets. The main objective is to maintain “curb appeal” for the community, and that is why sweeping needs to be done on a regular basis. Street sweeping is also one of the most visible signs that tax dollars are at work. For Shopping Centers: To maintain the clean look of a commercial property, oil, grease, and debris needs to be cleaned regularly. Although this type of debris is not always obvious, they should not accumulate until they are noticeable. 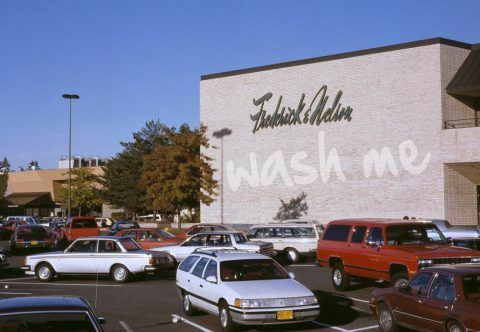 Parking lots at shopping centers must always look spotless and intact to cast a good impression on the visitors. We recommend daily sweeping for commercial centers. For Construction Sites: Sweeping is required at construction sites where trucks and other heavy vehicles carry huge amounts of dust, debris, and other potential pollutants. Frequent sweeping of such areas can alleviate the major source of dust. Fugitive dust from backfilling and excavation operations for the treatment plants must be kept to a minimum. Soil erosion must be managed because wash off from piled materials can be a source of pollutants for the construction period. This is why municipalities require proper management of soil erosion. Some people believe they can save money by powerwashing the garage. This will take at least 4 days. However, professional garage scrubbers can complete the same work in just one day. During the winter season, salt and de-icing chemicals cause a lot of wear on the parking garage. On the other hand during the summer season, vehicles track dust, debris, and grit, causing damage to all the concrete surface of your garage over time. This accumulation of dirt and debris ultimately wears down the surface. A professional garage scrubber will restore your garage in a single day. First the grime and debris will be removed. Once all this has been cleared away, the surface of your garage will be scrubbed with the help of a power sweeper that can only be operated by an experienced professional. These sweepers deep clean the concrete surface and remove the harmful buildup. Garage Scrubbing – Number of times a garage should be scrubbed? Depending on the use and size of the garage parking area, you can schedule your garage scrubber annually, semi-annually or quarterly. In case of normal traffic- you can hire professional garage scrubbing services every year, in case of heavy traffic- every 6 months, and in case of light traffic- every other year. Salt (both naturally occurring and ice melt): Removing salt is even difficult for professional garage scrubbing services. Professionals use specialized equipment and detergents specifically for this type of cleaning. Professional scrubbing limits degradation from the winter salt accumulation, and also helps to maintain the “curb appeal” of the garage. Grease (from car and truck axles): Garage floors don’t just get mud, salt, and dirt on them. Because they are made for car parking, cars drip all kinds of automotive lubricants such as brake fluid, grease, etc. Professional garage scrubbing removes these stains and achieves results in just a few hours. Oil (dripping from older cars): Oil dripping from vehicles can leave obvious dark stains on your pavement. Since professional scrubbers are equipped with scrubbers, water extraction machines, and other top quality cleaning equipment and chemicals, they can tackle such tough oil stains in no time. With professional garage scrubbing services, your garage parking deck can be returned to pristine condition. Call us today at 732-886-194-. We’re the garage scrubbing experts. When carried out with precision, pavement can last a long time. A decent paving job can last up to a decade. However, nothing lasts forever. Even the best-made driveway or pavement eventually begins to wear and tear. When this happens, you need to invest in paving services to repair or replace them. The challenge most people have is identifying precisely when to contract a paver. This is because – except in extreme cases – damaged pavement remains quite usable. So, how do you decide when you need to invest in paving services? Well, here are 5 signs which show a need for such services. The first sign is when alligator cracks begin to appear on the asphalt. This basically a series of jagged cracks which look like alligator skin. The cracks sometimes begin as small dents caused by bicycle kickstands or motorcycles. These dents can eventually become the center from which spider cracks develop. As such, dents and spider cracks are actually early warning signs. However, the time to act is when alligator cracks begin to appear. Another pointer to a need for repair is when linear cracks begin to appear. These are basically cracks which follow a longitudinal or curved trajectory. This type of crack can be up to several feet long. They typically arise when tinier cracks are ignored. As such, when linear cracks begin to appear, it is a clear sign that the driveway or pavement needs to be repaired. A pothole appears when a section of the pavement has failed. A tiny dent creates a center of weakness. As such, every time someone drives over the dent, another piece of the paving material breaks off. With time, a hole appears in the pavement and gets bigger the longer it is neglected. As time passes, you begin to feel a bump when you drive over the hole. Also, when it rains, the hole fills up with water. When potholes begin to appear, that is a clear sign that you need to repair or even replace the surface. The asphalt used on a driveway or pavement can actually fail. When this occurs, the asphalt starts warping, shoving, bending and developing irregularities. In extreme cases, ruts begin to appear on the surface. Asphalt failure can have different causes. The most common one is a weak asphalt mixture or insufficient thickness. However, this weakness is often aggravated by moisture infiltration. Whatever the cause, failing asphalt needs to be fixed urgently. This is because the warping can cause skidding – especially for motorcycles – thereby contributing to an accident, particularly on rainy days. Although asphalt seems tough, it actually has one weakness, i.e. the sun. The ultraviolet rays of the sun eventually break down the oils in the asphalt. The visible effect of this is that the asphalt turns grey. Asphalt turning grey is actually an early pointer to the weakening of its integrity. The oils usually play a critical role in holding paving material together. As such, when oils dry out, the asphalt loses its core strength. The end result is that it becomes brittle and more susceptible to wear and tear. When asphalt begins turning grey, it is a clear sign that it needs to be replaced. In a nutshell, those are the five signs that you need to invest in paving services. Therefore, if you start to notice the above signs on your driveway, pavement or any other paved surface, then know that it is the right time to contact a paver. Need pavement repairs or replacement? Call C & L Services at 732-886-940. We’ll be glad to discuss your paving needs and offer affordable solutions. When power washing first emerged in the 1920s, it was exclusively for industrial use. In fact, most industries initially used the technique for cleaning grease and chemicals. However, almost a century later, power washing is now an integral part of American life. Power washing is now used by industries, businesses and even residential homes. This technique is used for cleaning everything from factory floors, golf courses, construction sites, driveways, car surfaces, boat ramps, and so on. In fact, it is estimated that almost 15 percent of American homes and businesses use power washing. The ubiquity of power washing is mainly as a result of manufacturers releasing a range of power washing machines for both domestic and commercial use. This is actually a fairly recent development – in light of how long power washing has been around. Until about 25 years ago, power washers were only available for industrial and commercial use. They were typically bulky, complex and expensive. Only industries and cleaning companies could afford them. However, in the mid-1990s, manufacturers started experimenting with domestic power washers. These were targeted at people who wanted to use the machines without hiring a techie to operate it for them. These machines were made to be portable, easy-to-use and affordable. Even then, it wasn’t until the mid-2000s when power washers started gaining traction. Their popularity started rising when home improvement stores started marketing the machines to the Do-it-Yourself crowd. Today, most such stores offer a variety of DIY power washers for homeowners. The growing popularity of power washing is actually having positive spin-offs for the environment. For starters, most of the machines are designed to work best when using eco-friendly detergents. Such detergents mean that people can do their cleaning without creating any negative impact on the environment. Secondly, many power washers are designed to achieve maximum cleaning results with minimal water usage. For instance, some power washers release water at a rate as low as 5 gallons per minute. This is lower than the rate for a standard garden faucet hose – which releases 8 gallons per minute. Some power washers actually have inbuilt water recycling systems. These systems recover some of the water used for cleaning by sucking it up using a vacuum pump. This enables reuse of cleaning water – further reducing the water usage. Minimizing water usage reduces the overall energy imprint required for each clean. Given that power washing is now useful for removing all sorts of dirt including grease, grime, mud, mold, loose paint and even chemicals, the overall reduction in energy can be significant. This can have an overall positive impact on the environment. First of all, the pressure levels of power washers vary. Some machines are too powerful for domestic use. When used against windows, shutters or gutters, the water pressure can actually cause damage. As such, when purchasing a machine, it is important to be select one which is appropriate for the intended use. Secondly, power washers achieve best results when used with detergents. Granted, the sheer pressure of most machines can clean up different types of dirt. However, for quicker and long-lasting results, mixing detergents into the washing water is the best approach. Thirdly, to maximize the environmental benefits, use the right type of chemicals and detergents when creating the wash mixture. Using eco-friendly detergents will ensure that cleaning gets done without negatively impacting the environment. Finally, when storing a power washer for long periods of time, it is critical to flush it completely. Make sure that not a single drop of water is left in the tank. If water is left in a power washer for long periods of time, it leads to corrosion and rusting – which damages the machine. When all is said and done, power washing is making the world a better place. This is because it is providing a simple, hustle-free and eco-friendly way for cleaning industries, businesses, and homes. However, to maximize its benefits, it is critical that any chemicals and detergents used for creating the washing mixture are made from eco-friendly ingredients. Looking for professional Power Washing? We’re responsive, reliable, affordable and get your property looking clean! Call C & L Services for power washing at 732-886-1940.